What better way to get ready for tonight's NCAA men's final than to listen to a rare Substandard micro-episode on sports! 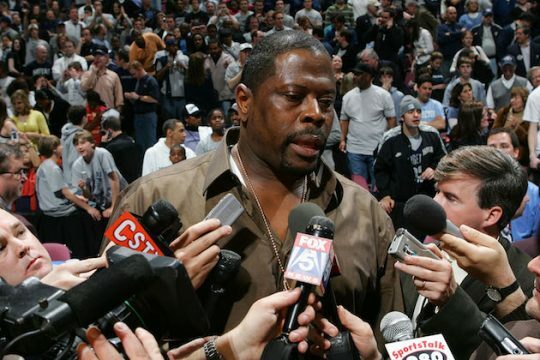 Ewing is Georgetown's patron saint. But his dream was to coach in the pros. I guess he'll take this in the meantime (and I presume his son will remain an assistant coach), keeping this all in the family. That's got to please the Old Man, who will continue coming to the games and no doubt advise his former star player. We then turn into a Very Special Episode when Jonathan reveals his connection to Georgetown—it's an ending almost as sad as Fred Brown's errant pass. This entry was posted in Culture and tagged Georgetown, March Madness, NCAA. Bookmark the permalink.